Currently I do the illustrations for all of my book covers. I have a little bit of an art background (in fact have even had some exhibitions), so while I’m no professional I like to think that I have a reasonable idea of how to make a reasonable picture. Sometimes my covers work and sometimes not so much. 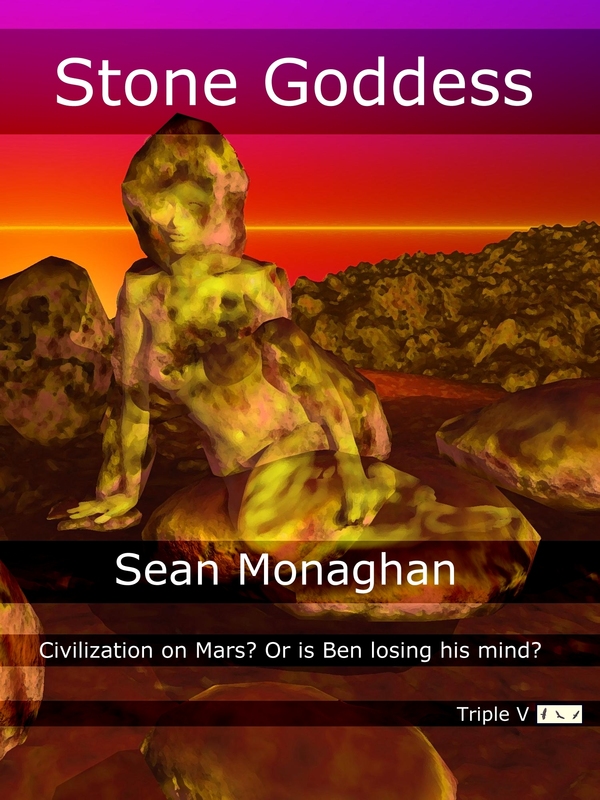 Case in point here is my cover for my story Stone Goddess. I had the idea – to suit the story – of a pile of rocks that kind of looks like a statue. I attempted a blend of the rocks with the image of the statue (all rendered in Bryce). There are some elements that work, but I’m not convinced that this cover is going to sell many copies of the story (I think the story is one of my best, but so far has sold zero copies on Smashwords). I was following Jeff Ambrose (another writer who’s inspired me on writing goals) and found his post about working on his covers. Now I though his covers were pretty good to start with, but some of his new ones are just leaving me in the dust. 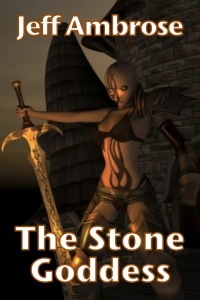 Look at the one here (used with his permission for illustrative purposes) for his story The Stone Goddess. Wow (and yikes, practically the same title). That illustration is so professional that it ought to help him sell an awful lot of copies of the story. (I’m terrified to read his story for fear that not only is the cover better, but so is the story). That said, he is using dreamstime (an online resource where artists sell the rights for the use of their illustrations), so the covers are going to be pretty professional. Maybe I should take a lesson from Jeff and start investing a little money, rather than time – especially when a cover isn’t working out so well. Maybe I’ll buy one of Jesse-lee Lang’s illustrations (she did the picture on the cover of Jeff’s story), and go head-to-head with Jeff. This entry was posted in fiction and tagged book cover, ebooks, fantasy, illustration, jeff ambrose, science fiction on 22 March, 2012 by Sean Monaghan. 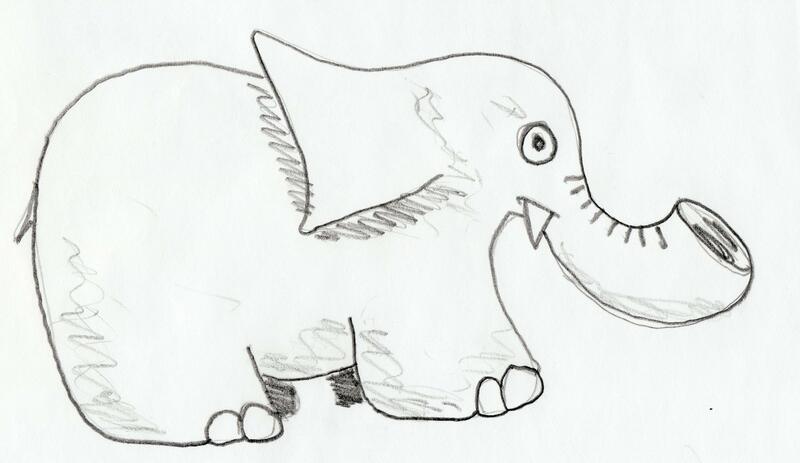 This entry was posted in Uncategorized and tagged illustration, rant, sketch on 11 October, 2011 by Sean Monaghan.